Create the perfect Reverse Canvas using your Cricut Maker or Cricut Explore. Grab the Design Space files here and see what we’ve been making at the Cricut Mountian Make-A-Thon. This post contains affiliate links. Thank you for your support. I’m so excited to be teaching at this very moment at the Cricut Mountain Make-A-Thon. We made the most perfect reverse canvas for Christmas and I made other reverse canvases for the holidays throughout the year. I’m here to share with you the Cricut Design Space File for these awesome Cricut reverse canvas projects. 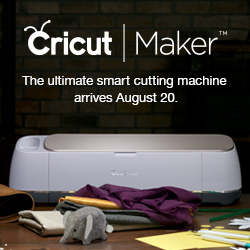 What is the Cricut Mountain Make-A-Thon or Cricut MMAT? 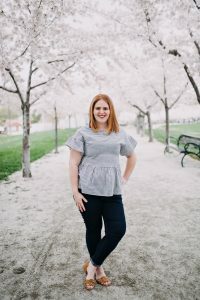 The Cricut MMAT is a conference where you can learn from experienced Cricut users and create til you can’t create any more. 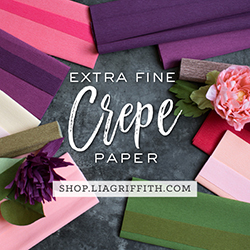 Get new ideas of what you can use your Cricut machine for and what your Cricut machine can make. What is a Cricut Reverse Canvas? Or what reverse canvas can you make with your Cricut? I showed the attendees in my classes on how to create an easy Cricut reverse canvas. You can do more with your Cricut to create a stunning reverse canvas. I did foil iron-on, embroidery and I even used some of the new Cricut bonded fabric. We created a Christmas reverse canvas and everybody loved how easy it was. I’ll walk you through each of the holidays that you can make with your Cricut reverse canvas. For the Valentines Day reverse canvas, I used the perfect cross-stitch shape. I filled in each X shape with some DMC embroidery floss. For the Adventure and Sassy Pants reverse canvas, I use the washable pen to draw the design and then I embroidered the designs using some more DMC embroidery floss. When you’re completing these projects, I like to prepare the frame first so that while it’s drying, I can be making the canvas part. Don’t be afraid to try something new, you’ll really push your Cricut knowledge and you may end up loving it even more (if that’s even possible)! Now, when I’m making reverse canvasses, I do not remove the staples. I just use the Cricut TrueControl™ Knife to remove the canvas. Just cut on the outside of the staples all the way around your canvas. Try and use the Cricut EasyPress or a heat press if you can. If you have a household iron, use these tips here on how to press with an iron. When layering your Iron-On Vinyl, use the least amount of pressing time that you can. When you’re finished, you can give the final project a final press and be sure that it is secure. I usually do the Everyday Iron-On at 315°F for around 15-20 seconds with each layer. A tip to remember is that you cannot layer Iron-On on top of Glitter Iron-On. Use the glitter as the last layer. Your Cricut EasyPress should be then heated to 345°F for an additional 30 seconds. Turn your canvas over and then press again for 10 seconds. Peel off your carrier sheet and then get ready to adhere it to your finished frame. Trim off the excess using, again, your TrueControl™ Knife and you’re finished. This was such a fun class to teach at the 2018 Cricut Mountain Make-A-Thon. Don’t be afraid to use your Cricut and make the perfect reverse canvasses for all year round. I love your creativity! You are really good at embroidery stitches.